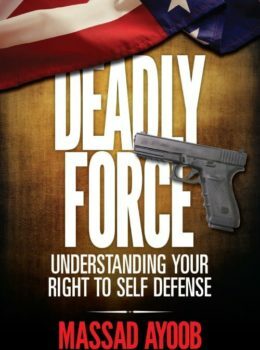 This digital version of Combat Shooting with Massad Ayoob features all of the critical self-defense, tactical and concealed carry information of the print book in a single PDF download. In Combat Shooting with Massad Ayoob the author shares real life stories and experience of police officers, armed citizens, detectives, surgeons, medical examiners and the legendary gunfighters of our time – Wyatt Earp, Col. Charles Askins and Jim Cirillo. Massad Ayoob is one of the world’s outstanding handgunners and is the Director of Massad Ayoob Group. A prolific writer, Ayoob is the author of Gun Digest Book of Concealed Carry, Gun Digest Book of SIG-Sauer, Gun Digest Book of Combat Handgunnery, Massad Ayoob’s Greatest Handguns of the World Volumes I & II and many other books and more than one thousand articles on firearms, combat techniques, self-defense, and legal issues.